Ultra-High Performance Concrete (UHPC), is a high-strength, ductile material formulated by combining portland cement, silica fume, quartz flour, fine silica sand, high-range water reducer, water, and steel or organic fibers. The material provides compressive strengths up to 29,000 pounds per square inch (psi) and direct tensile strength of 1,000 - 1,800 psi (PCA, 2017). Due to its excellent material properties UHPC can be used to enhance and rehabilitate concrete infrastructures while extending their service life and greatly reducing future maintenance cost. Our team has 171 years of combined experience. 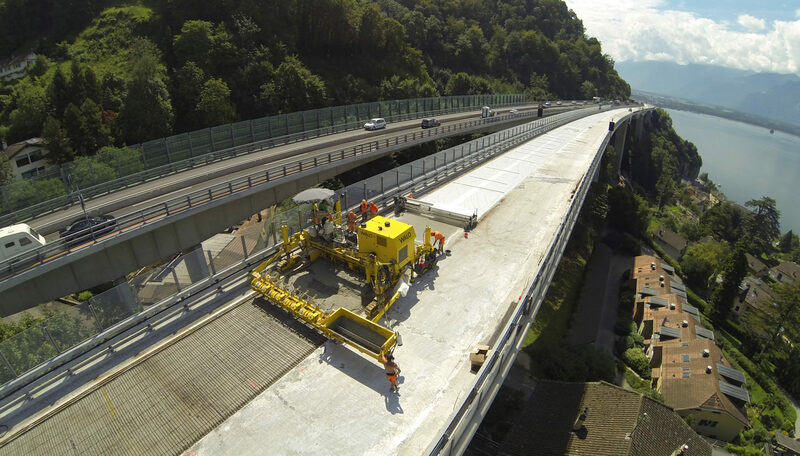 Posillico and WALO have teamed up to bring our Ultra-High Performance Concrete rehabilitation methods to market and to help solve the deteriorating infrastructure problem. By combining forces we have brought together over a century of infrastructure rehabilitation expertise and an accelerated bridge construction that can meet the demands of today's need for accelerated bridge rehabilitation (ABC) with lasting results.